Welcome to Gaithersburg Wellness Center! Call us at (301) 569-0380 today. Gaithersburg Wellness is located in the heart of Gaithersburg, MD 20877 and serving Gaithersburg, Germantown, Rockville and the surrounding Maryland areas. At Gaithersburg Wellness Center, we are dedicated to helping you achieve your wellness objectives -- combining skill and expertise that spans the entire chiropractic wellness spectrum. Dr. Sangbum Joo, a licensed chiropractor, is committed to bringing you better health and a better way of life by teaching and practicing the true principles of chiropractic wellness care. Dr. Joo has the power and responsibility to lead the people in our community away from needless pain and suffering, from unnecessary drugs and devastating surgery. Through Chiropractic, we provide a route and the means for our fellow man and women to attain greatly improved health, vitality and happiness. Patients seeking treatment at Gaithersburg Wellness Center with Dr. Sangbum Joo is assured of receiving only the finest quality care through the use of modern chiropractic equipment and technology. Dr. Joo and the staff have a genuine concern for your well-being! Dr. Joo starts with a scientifically-based examination of your posture, spinal alignment, and function – often involving x-rays as a way to pinpoint the root cause of your spinal misalignment. Once the source is identified, we will create a carefully-planned series of adjustments, exercises, and a spinal remodeling programs to put you on a pain-free road to better health. Unlike regular chiropractic that mainly focus on immediate pain relief, Chiropractic BioPhysics technique goes one step further to also correct the source of the problem. That’s why most patients under our care not only report relief from pain and discomfort, but as their posture begins to align, they notice other conditions clearing up as well. The Correcting posture is at the core of the Chiropractic BioPhysics method of treatment. 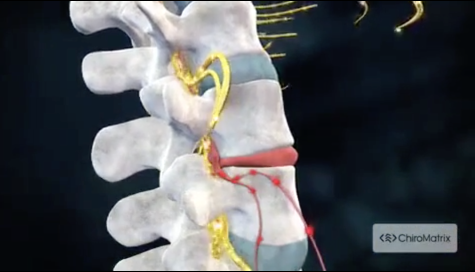 The curves in your spine act as levers, shock absorbers and resistance to gravity. The curves also protect and reduce forces acting on the spinal cord and nerves. However, the gravity, age, poor posture, improper physical activity, injury and disease can play a role in the misalignment of your spinal curves as well as your entire body. CBP technique can help restore that balance. Following a scientific analysis of your posture and the curvature of your spine, a treatment plan is developed, based on your deficits, to restore proper alignment, relieve pain and improve function. Your treatment plan may include a variety of tested and proven CBP technique, including adjustment, exercise, and traction or what is termed 'Spinal Remodeling'. If you are new to our website, please, feel free to discover and learn about chiropractic wellness. Dr. Sangbum Joo, D.C., M.S., Q.N.C.P. "Every since my accident I started coming to Dr. Joo and since then I have been feeling much better. I can how do much more stuff then I was when I had my accident. Also I have a feeling I've improved so much more." "Going to Dr. Joo was a great experience. Not only did he help me a lot, he also taught me a lot. Because of Dr. Joo, I am more conscious of my posture and how I live everyday. I would and will recommend him to my family and friends if they are having any back, spinal, legs, etc. problems or before any problems start. I wanna say thanks to Dr. Joo and his wonderful staff. Sincerely." "I came to Dr. Joo. I was a lot of pain. I'm very pain. I'm very Please at how the doctor Help me, and at the way I was treated." I will LET ANYONE know this place to be treated. "Dr. Joo, is a great Chiropractor. I would recommend him to anyone. Thank you so much Dr. Joo + Stella for working with us as you'll have. Very blessed I got to meet you guys. Thank you Dr. Joo for getting me almost 100% better." "Dr. Joo and Stella are great! I would recommend them to anyone. Well I wouldn't recommend them to my enemies because I wouldn't want them to get such good treatment but anybody else I would recommend ya'll to."